Dark navy baseball cap with embroidered patch. 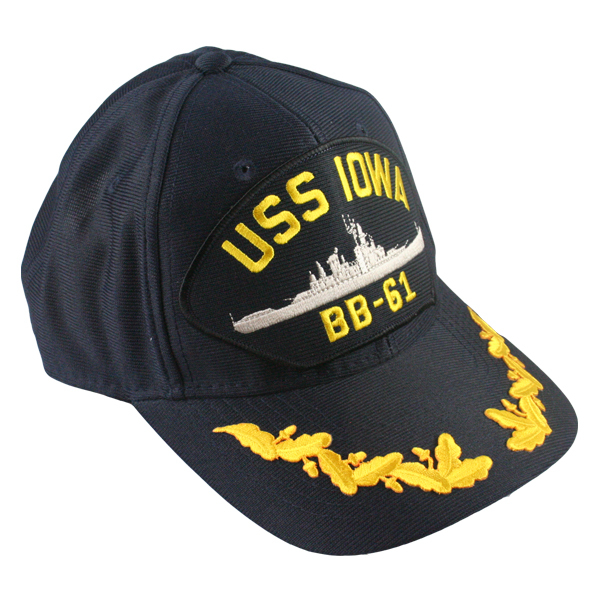 Patch has yellow lettering that says "USS IOWA" on the top with "BB-61" on the bottom. The patch also features a gray embroidered rendering of the ship. An oak leaf and acorn design adorns the cap brim.